Steve Z. Ranot, a Chartered Accountant since 1987, commenced his association with MARMER PENNER INC. in 1992. Previously, Steve was a commodity and income tax specialist, having successfully completed the CICA In-depth Income Tax Course. Steve has authored articles on business valuation, income determination and income tax related to litigation. In addition, he wrote about income tax issues in a major daily newspaper for 17 years. Steve has lectured at many professional seminars including those sponsored by the Canadian Institute of Chartered Business Valuators, the Law Society of Upper Canada, the Canadian and Ontario Bar Associations, Osgoode Hall and the National Family Law Programme. Steve has qualified as an expert on matters related to business valuation, income determination and quantification of commercial damages. Steve obtained his designation as a Chartered Business Valuator in 1993, as a Certified Fraud Examiner in 1995 and as an Investigative and Forensic Accounting Specialist in 2000. 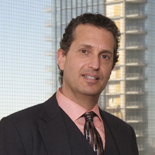 Steve was admitted as a partner in the firm in 1996 and has been the managing partner since 2008.